A mom’s empathy and help is priceless…. One of the most heartwarming, reassuring and appreciated consequences of Hurricane Irene’s destructive stop in our town is the outpouring of help from women throughout our neighborhoods. I think many of us in town have long felt a great sense of community. We have two amazing networks/listservs, the Working Moms Group and our Newcomers/Encore Group. The advice, help and camaraderie emanating from these groups is precious and mother-like. In the aftermath of this storm, women have offered help in every way imaginable. Like a mom, these women have thought of all of our essential needs: a warm meal, laundry, a place to shower. Due to the devastation from Irene, these women are giving information on and lending fans, de-humidifiers, wet vacs and even generators. And, because of our reliance on technology, their offers also include wifi access and a home to charge computers and cell phones. It started with friends offering such help to their immediate circles of friends. And, then it spread. Just today, one woman posted an offer for anyone in town to borrow her mom’s stockpots for boiling our unsafe water. The offers keep coming: friends and acquaintances who hear that I am without power, have reached out with empathy and offers for us to meet those essential needs and even take a swim in their pool while the laundry finishes. And, just like a real mom, there is some daughter guilt. I actually feel bad if I can’t take someone/everyone up on their offers. I would love to spend time with each of these “other moms”. The idea of dinner and powering up at each person’s house, is tempting and reassuring. However, reality and the imminent start of school intervene and force me to turn down some offers. Instead we sometimes we go to the library or Starbucks in order to work incognito. I often think about times that I turned my mom down on her offers (or requests) to get together. My “no” was often accompanied with guilt. While I regret not saying yes all of the time, I know how unrealistic that is and that she understood. Saying no to someone who offers her heart and house to you is hard. So many of us moms feel great when we give to others. It’s almost ironic that I want to give these “other moms” the satisfaction of giving. I hope you are lucky enough to have your mom or other moms in your life. Perhaps you are also an “other mom.” I’d love to hear your story! What tactics do we employ to cope with inconveniences? I am being prudent in describing my current level of discomfort because Hurricane Irene has left thousands devastated. Locally, hundreds of my neighbors are experiencing tragic consequences of flooded basements. Our neighborhood ranges from the least affected, having to boil water since our supply might have been contaminated, to the most affected—ripping out basement walls and floors while not having power or water. To satisfy the basic need to eat and not have to deviate drastically from enjoying our meals, I stocked up on one of my family’s most favorite treats: bagels and smoked salmon. Thanks to my Aunt Elaine (my mom’s sister), I learned that bagels with cream cheese and lox freeze well and then last throughout the day. Dispersed in the refrigerator and freezer, the lox and cream cheese kept perfectly for the first 48 hours of no power. And, now, we can devour this treat until the power resumes or, at least, for our lunch and snacks today. It is a trivial, but welcome diversion from current conditions. Thanks to my aunt and our many hours of touring her home city, London, I also learned to rely on bananas because they do not have to be washed. With the chance of contaminated water flowing, bananas are a mandatory snack. I am fortunate to have been influenced by my resourceful mom and aunt. Their mother also figures into this since my grandma coped with many tragedies and still helped us all realize that we should be satisfied with what we have. In the meantime, I hope that you have survival tactics and wonder what role your mother played in helping you develop them. Confession: I have a new food obsession: quinoa. And, I know– I am not the only one! Over the past year, I have sampled this great non-gluten grain at various gatherings. It wasn’t until I took the plunge and made some myself that I became completely infatuated with quinoa. The rational is quite logical: it’s packed with protein and fiber, low in carbohydrates, versatile and extremely easy to make. I can get the quinoa craving and 25 minutes later, I have enough to make savory salads and even breakfast porridge. My most memorable quinoa moments include: 1. Making it for Passover (yes, non-gluten and allowed during Passover!) and receiving rave reviews. My friend gave me her recipe which includes walnuts, peas or string beans, green onions, garlic, balsamic vinegar and a bit of olive oil. 2. Making it for my brother-in-law who is controlling his blood pressure by going gluten-free—and for a friend who has recently given up gluten. I consider each to be a food connoisseur and each devoured it. 3. Making it for breakfast!!! A friend’s porridge recipe (mix with almond butter, almond milk, apple sauce, raisins….) is so delicious and nutritious. 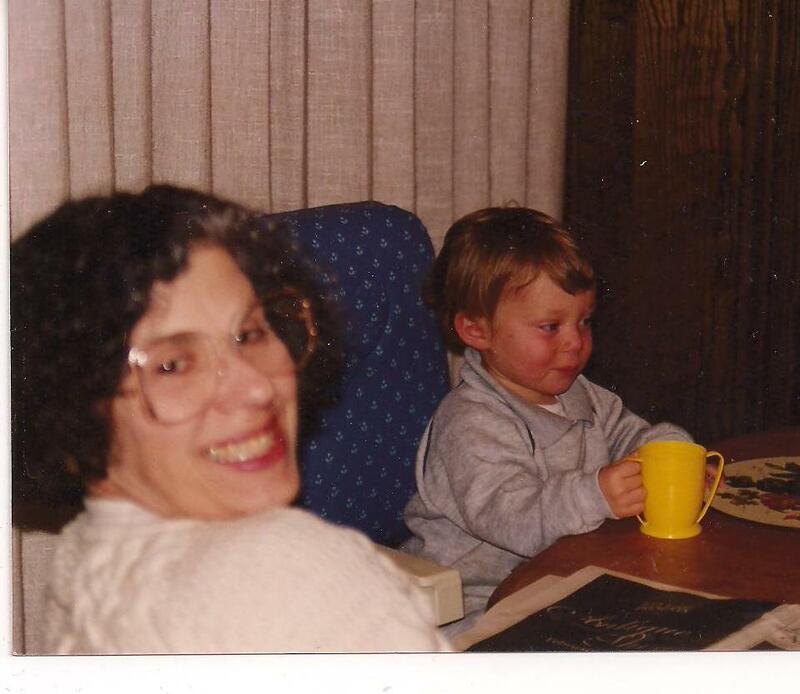 As I have become increasingly obsessed with quinoa, I keep flashing back to the time that my mom first roasted soybeans. 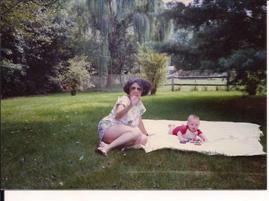 It was 1980: I had just turned 16 and she had just quit smoking. To help herself, she became vigilant about not smoking and living a healthy life. Her soybean obsession was just a start on her new extremism. There is a Part 2 to this soybean experience which I’ll save for another post. And, there is a non-healthy food obsession we shared that will be yet another post. I am sure my mom would have shared my quinoa obsession. I wish she could have enjoyed creating quinoa concoctions with me. I wonder what food obsessions you or your mom have had and were there any you shared?